Moving along in the story of the major arcana, following 0-The Dreamer is 1-The Magician. The symbolism on both cards indicates a magician with the right hand holding a wand raised toward the heavens, while the left is pointing toward the ground. The magician is like a conduit bringing dreams from heaven down to earth. In both cards, you also see the infinity sign above the magician’s head. In the Rider-Waite (RW) tarot, this is identified as the mysterious sign of the Holy Spirit. In the Angel Tarot, the description is that this is evidence of our ability to manifest as eternal and unending. 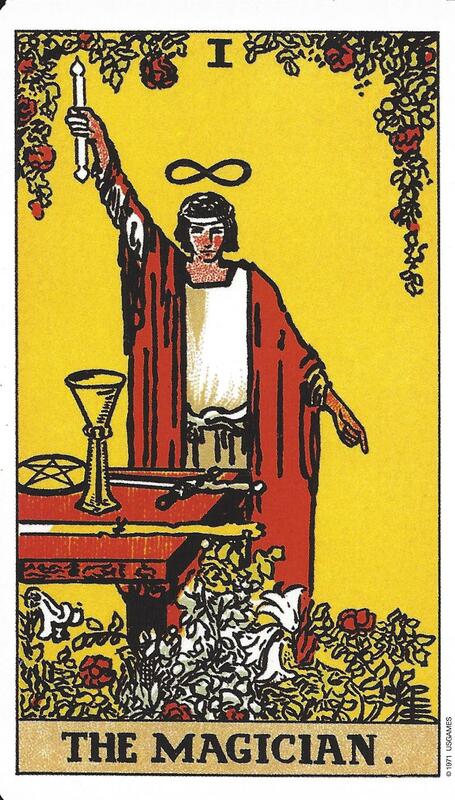 On the table before the magician in the RW Tarot are the symbols of the four suits: sword, cup, wand, and pentacle. In the Angel Tarot, the magician’s belt has the icons of the four suits: fire, air, water, and earth. In both decks, the magicians have at their feet a bed of roses and lilies representing the purity of the magician’s motivation. If you draw this card you can be sure that the time to begin your journey or a new project is NOW. You have the ability to manifest your dreams; you are prepared. You can stop procrastinating and begin manifesting as magical things begin to occur. With the four elements of this world, the Dreamer can create anything. 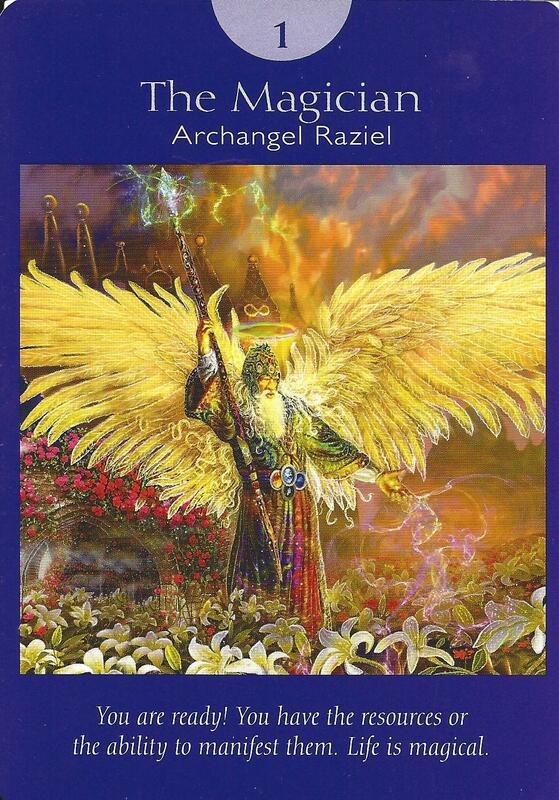 The Magician card is associated with Archangel Raziel whose name means, “the secrets of God.” Archangel Raziel is a wizard in control of the book of knowledge. He has the ability to use the book of universal wisdom and transform dreams into reality.